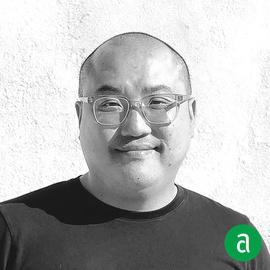 Khuong Phan, Executive in Food & Beverage PR, Marketing and Concept Development at Atelier Ace / Ace Hotel in Los Angeles, CA, shares his career timeline and words of advice for up-and-coming professionals. Starting my career as a journalist has proven to be invaluable to me in so many ways. On a very basic level it taught me how to interact with people from all walks of life, how to do research, how to ask the right questions, how to develop sources and relationships and how to accurately manage details while juggling multiple projects and deadlines. When I crossed over to “the other side” to work in PR, I found it easier than most to work with journalists since I had been in their shoes before. There’s a simpatico that develops through shared experiences. I still think like a journalist when I’m pitching stories and helping to service those stories. If you’re going into marketing or PR then please study writing. My seasoned colleagues and journalist friends are always amazed at how many people in this field, or wanting to be in this field, have trouble with syntax, grammar, and clarity. The books I’ve always referenced and kept close are "The Elements of Style", "The Associated Press Stylebook", and "Eats, Shoots & Leaves". Be a knowledge hound. Never stop learning about your profession, the people you work with, the people you work for, the audience you’re hoping to cultivate, trends, technologies, current events, etc. Ask questions. Research things you don’t know. And always remember that everyone around you has the potential to be a teacher. Don’t simply chase money or title. I promise you that if you do something well enough for a long enough time, both of those things will come your way. Instead aim for the opportunities that will provide you the strongest connections, access to the people you admire and the experiences you find most fulfilling. These things really pay off in a major way down the line. Your career is a long arc, so play the long game. When young people reach out to me for advice, I always give them these three nuggets that have helped me in life both professionally and personally. 1) Be nice. I’ve never seen any benefit from being rude or demeaning to anyone. It certainly doesn’t earn you long-term respectability. Also, you may not know who someone is or who they may one day become, so better to not burn any bridges or allow for the harboring of grudges. 2) Show up. If you’re dependable, prepared, punctual and always willing to work, you will have a long career. 3) Real knows real. Real successful people can see through poseurs and pontificators, and they’ll avoid doing business with them if they can. Be genuine, be authentic, be honest and be real. Don’t let people have to guess or be uncertain about who you really are and what you’re about. A mentor of mine used to drum into me that the number one job of a PR / marketing professional is forging and maintaining relationships. That starts at home by being a good teammate to your co-workers, and extends outwardly to your clients, project partners, industry colleagues and media contacts. You develop relationships by genuinely caring about people and treating them like human beings, as opposed to viewing them coldly as commodities or tools, or keeping your interactions just transactional. A true relationship benefits the both of you, and isn’t one-sided or simply quid pro quo. It’s also a long-term investment that will pay dividends in more ways than you might expect. We’ve all heard the saying, “the buck stops here.” Well, be one of the locations where the buck stops, which is to say be responsible for your work, for those you work with and be someone who leads the conversation about solving problems. Be generous with your time, your skills, your resources and your knowledge. You always get a lot more in return when you’re willing to give.